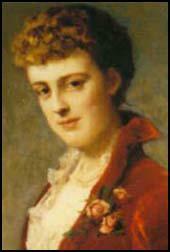 Edith Newbold Jones, the daughter of wealthy parents, was born in New York in 1861. Educated at home and in Europe, she married Edward Wharton in 1885. Her first collection of short stories, The Greater Inclination, appeared in 1899. The publication of The Touchstone (1900) and the House of Mirth (1905), established her as a major novelist. After divorcing Edward Wharton, she moved to Paris in 1906 where she met and fell in love with Morton Fullerton. 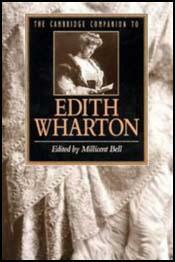 Wharton published Ethan Frome (1911) and The Custom of the Country (1913) before the outbreak of the First World War. Early in 1915 the French Red Cross asked Wharton to make a tour of some military hospitals near the Western Front to publicize the need for medical supplies. General Joseph Joffre was also persuaded to allow Wharton to visit Verdun and other battlefields. Wharton's articles about these visits to the frontline originally appeared in Scribner's Magazine. These were collected together and later published in the book, Fighting France (1915). The following year Wharton edited a literary anthology, The Book of the Homeless. With contributions from Laurence Binyon, John Galsworthy, Thomas Hardy, Alice Meynell, Mary Humphry Ward, W. B. Yeats and John Singer Sargeant, the book helped to raise funds for the American Hostels for Refugees and the Children of Flanders Rescue Committee. In 1916 Wharton was appointed a Chevalier of the Legion of Honour for her wartime relief work. After the war wrote two novels about the war, The Marne (1918) and A Son at the Front (1923). Other books by Wharton include The Age of Innocence (1920) The Mother's Recompense (1925), The Children (1928) and Hudson River Bracketed (1929). A Backward Glance, a revealing autobiography, appeared in 1934. Edith Wharton died in 1937. That evening, in a restaurant of the rue Royale, we sat at a table in one of the open windows, abreast with the street, and saw the strange new crowds stream by. In an instant we were being shown what mobilization was - a huge break in the normal flow of traffic, like the sudden rupture of a dyke. The street was flooded by the torrent of people sweeping past us to the various railway stations. All were on foot, and carrying their luggage; for since dawn every cab and taxi and motor-omnibus had disappeared. The crowd that passed our window was chiefly composed of conscripts, who were on the way to the station accompanied by their families and friends; but among them were little clusters of bewildered tourists, labouring along with bags and bundles, and watching their luggage pushed before them on hand-carts - puzzled inarticulate waifs caught in the cross-tides racing to a maelstrom.